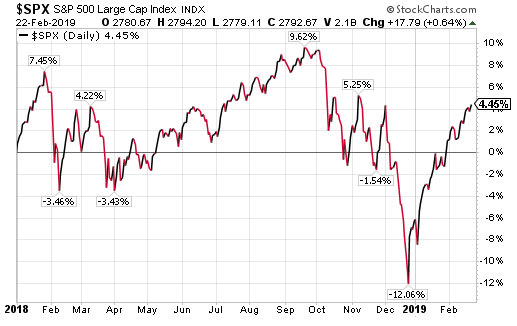 Cyclical Stocks Outperforming Defensive Stocks An Indication Of A Strengthening Economy? 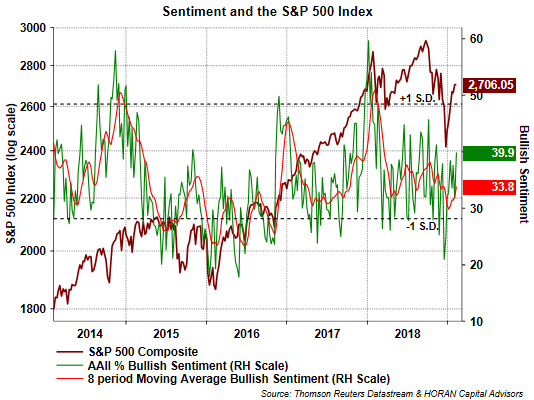 Since the beginning of 2018, investors have encountered a stock market that is more volatile, yet at a level of volatility that is more normal. 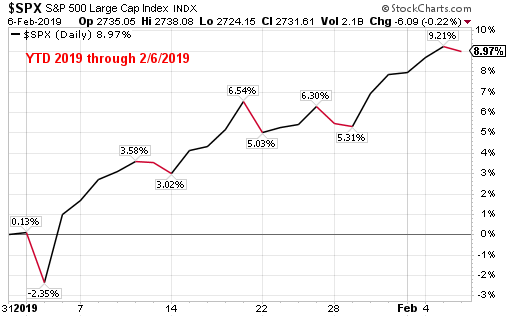 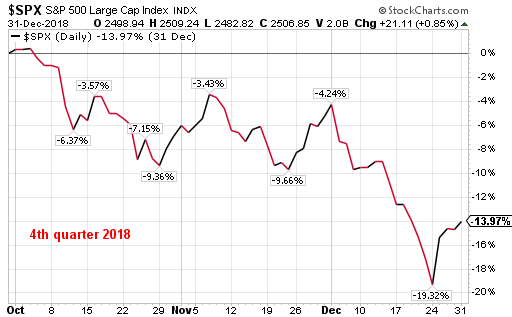 The below chart shows the return pattern for the S&P 500 Index since 1/2/2018 and the steep decline that began at the end of last September has been followed by a sharp recovery in 2019.